A phoenix is rising in Rotifunk to live again. But not a bird. A different kind of phoenix. A phoenix is a mythological bird that arises from the ashes of its own funeral pyre as a newborn bird to live again. Rotifunk had to abandon their town to rebel control for seven years during Sierra Leone’s civil war. Townspeople fled for their lives, and rebels burned the town to the ground. Today, on the main road in Rotifunk, a building torched by rebels is rising once again from its own ashes. It’s being rebuilt as the new community computer center. The computer center for Rotifunk that started as our dream three years ago is coming to life. No myth here. It’s being built, bricks and mortar style. Or rather, being rebuilt. In Sierra Leone, necessity is the mother of many things. Rebuilding structurally sound but damaged buildings to live again is a common thing. Especially buildings like this one that died a premature death at the hands of rebels intent on destroying a town. This large building is being given over to house Rotifunk’s new community computer lab. The concrete slab and foundation walls are good. It’s large enough to house two classrooms, offices and storage rooms. And importantly, it’s centrally located on the main road to easily serve residents and visitors alike as a computer café and business service center. Anything wood, like these roof supports, burned when set on fire by rebels. 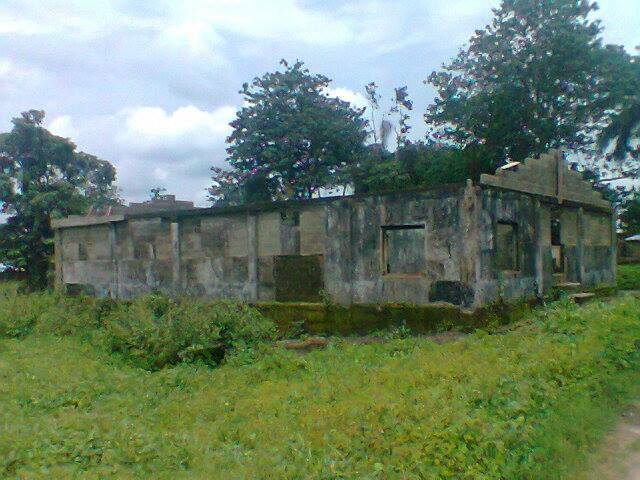 But the concrete foundation and original walls remain to work with. Local materials are further bringing down the project cost. Bricks made in wooden frames from the hard laterite clay mixed with cement dry in the hot tropical sun. Locally cut lumber from tropical hardwoods will support and frame the roof. Inner walls of new bricks are being laid to reinforce the old walls and to rebuild upwards. Window openings were left all around. An important design feature for this town that still has no electricity and needs natural light coming in. 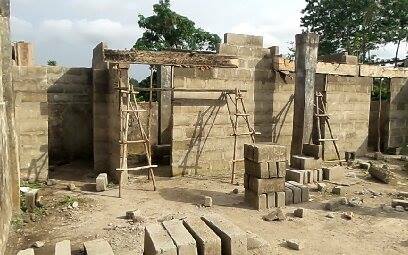 Partitions – mud brick inner walls – will go in next to create classrooms, two offices, a storeroom and toilets. These days modern style buildings in Rotifunk are built with inside toilets and underground septic systems. This picture I just got shows the roof support starting to go up. Roof trusses will go in that are one the biggest cost of the re- build. We need roof trusses and a corrugated metal roof strong enough to hold solar panels. You may ask how can a town build a computer center if it has no electricity. Well, we’ve already been operating a temporary computer center in a small house for nearly a year. We were fortunate to get 50 up-to-date PC’s last year with a corporate donation from Schneider Electric. Our local Rotifunk partner, the Center for Community Empowerment and Transformation wasted no time starting computer literacy classes. But classes end by 6:00 or 6:30 pm when it becomes too dark to see. The PC’s are re-charged remotely. Too bad I don’t have a picture of kids carrying 20 computers at a time (in PC bags) on their heads across town to a place that charges cell phones. It’s a standard these days to have small cell phone charging businesses run by generators. But this is no way to run a real computer center. Our next stage for this project is fundraising for a solar energy system. We want to maximize use of the center and operate for twelve hours a day, seven days a week. We need reliable solar power. People in Rotifunk are eager to learn to use a computer. Most people can’t afford their own PC now. They can come here to take classes or rent a PC by the hour for a token fee. Those who just want to have something typed or printed, can come here like a local Kinko’s or Staples for business services. And the center will earn some money to make itself self supporting. Rebels may have tried to destroy Rotifunk. But Rotifunk is no longer destroyed. It’s a vibrant small town that’s rebuilding itself. It’s once again taking its position as the rural hub for education, health care and trade it’s been for over a hundred years. Rotifunk is rebuilding itself to be better than its former self. Computers are linking its residents with the rest of world. Sherbro Foundation is proud we arranged the original computer donation and are now fundraising for the building’s solar system. The building itself is being paid by private donations and community contributions, including the building shell, local materials and local unskilled labor. It definitely is “taking a village” to make this computer center become a reality for the rural town of Rotifunk. It’s an international village of donors and supporters. Why not join us? If you’d like help, you can read more about our donations and donate yourself here. Fifty computers are on a container ship as I write this steaming its way from New Jersey to Sierra Leone and the grateful people of Rotifunk. These will be the first computers that allow The Center for Community Empowerment and Transformation to set up a computer literacy program and start teaching regular computer classes for Bumpeh Chiefdom. This will not just provide computer skills, but skills to give the people of Rotifunk a shot at the 21st century job market. Skills to modernize school and chiefdom administration. Skills to help people start or expand small businesses. This is the dream that Prosperity Girls High School Principal Rosaline Kaimbay and I had two years ago when I made my first trip to Rotifunk in over 35 years and first met her. Prosperity Girls was just finishing their second academic year after the school was founded in 2009. 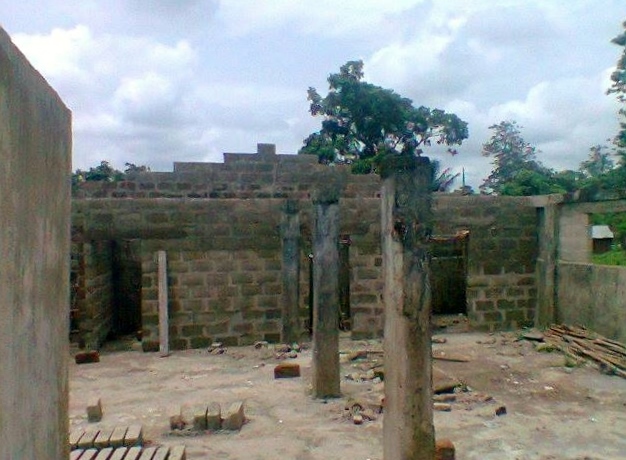 She then had 67 girls in 7th and 8th grades – or as they say Junior Secondary School 1 and 2. The school now has four grades and triple the students. As Principal Kaimbay and I talked about her goals for the school in July 2011, we acknowledged that most of these girls were unlikely to go on to college. They need vocational training programs in the school to give students practical job skills. We quickly agreed computer training was top of the list. Whether going to college or being a clerk in a shop, people today need computer skills to excel. By next month at this time, our dream will become reality. This dream has been made possible by two generous U.S. companies that I serendipitously met in Cincinnati – Schneider Electric and TIP Capital. I went on the spur of the moment to a preview showing of the new PBS series, Half The Sky, about the plight of women and girls in the developing world that was given at the public library. Jenny Brady, Schneider Electric employee and CARE volunteer was leading the showing and a discussion afterwards. She encouraged the audience to not just watch the video, but to find a real project to help a girl or a woman like those we had just seen. Progress starts with one person here willing to help one girl/one woman somewhere in another country struggling to move her life forward. OK, I said to myself, raise your hand and let people know you have such a project, and in Sierra Leone, one of the countries just profiled in the Half the Sky video. My “project” then was a discussion with a principal in a small town on the other side of the world, and a piece of paper she and her teachers prepared with their objectives for a computer lab for the school and the community. Teaching lab by day, Internet café by night. Never mind they have no Internet service and no electricity. That was part of our dream for Rotifunk, too. Jenny liked this project herself. She invited me to another Half the Sky showing where she brought the Schneider Electric HR manager, who I spoke with. She liked it, too, and took it back to Schneider Electric management as a proposal to send laptop computers to Rotifunk. The project now had legs. This is an example of the kind of social responsibility effort I found Schneider Electric is globally known for as a multinational corporation in the world of energy management and sustainable development. They are recognized as one of the Top 100 World’s Most Ethical Companies. Schneider leases their office IT equipment from an IT leasing company, TIP Capital. They would get refurbished computers from TIP, who very generously agreed to sell these at cost and pay shipping charges to the New Jersey port. Giving up their profit on 50 computers was another very kind donation made by TIP. As we were getting this underway, the Boston marathon tragedy occurred. A horrific vicious circle of hatred where just two people wreaked incredible havoc and heartache. How fortunate I remember thinking that I am instead involved in a circle of virtue, where one person’s desire to help on a compelling need enlists the help of another, who in turn draws in another person, and another. Other donations have followed as people have heard of the project and seen it taking shape. But a huge thanks goes out to the people at Schneider Electric and TIP Capital for the being the first ones to step up and say, I want to help on this. A lot has happened in the last year and the project has grown. More teachers have come to Rotifunk for the growing Prosperity Girls High School and formed an all-volunteer community development Nonprofit they call The Center for Community Empowerment and Transformation (CCET). I found other worthwhile projects needing support in Rotifunk on a later trip, and formed the Sherbro Foundation. The computer lab project has already grown in anticipation of receiving 50 computers. CCET and Sherbro Foundation decided we should open computer training to more of the community beyond one girls schools. There are four secondary schools in Rotifunk with girl and boy students needing computer skills. There are school graduates in town that would like the opportunity learn computer skills for their own career development. There’s other adults who want the chance to learn to use a computer, or who have basic skills, but no access to a computer in town. People now have to go the capital or another larger town with an Internet café to use a computer. Even the women in the adult literacy class who are just learning to read and write their own names are excited at the prospect of learning to use a computer. If primary school kids learn to use them, why not these women? I say more power to them. In this way, I hope computer classes will serve as an incentive for all students, young and old, to continue in school and keep learning. Computer based training via DVD’s can also be a boost for students trying to master basic subjects like math and English grammar. 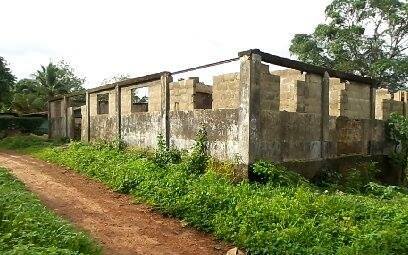 Paramount Chief Caulker has given CCET a building to use for their office and classes. Sherbro Foundation has contributed some money to pay for a local carpenter to build office furniture and tables to hold classes. And, next month, they will be firing up their own computers. It’s one thing to learn to use a computer, but what do people then do with a computer in rural Africa? More on that in another post. 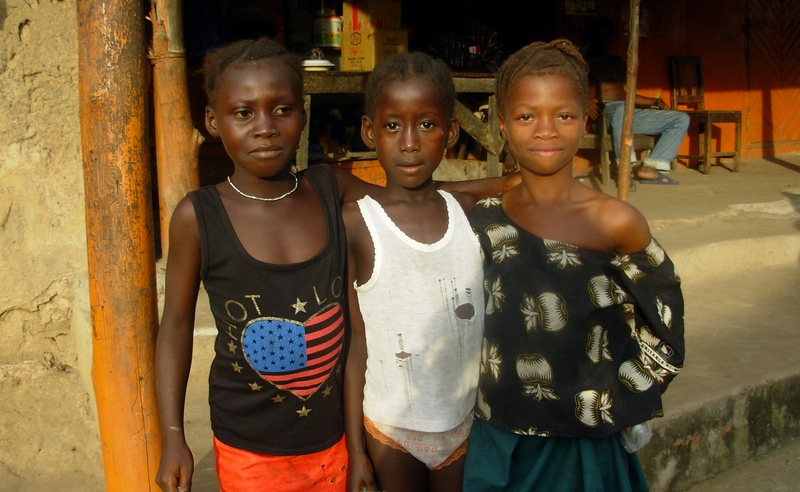 If you would like to become part of this circle of virtue going out to the small town of Rotifunk, Sierra Leone, you can by using the on-line donation button to the right of this website. There’s still plenty to do. We need simple things. $15 will buy a computer bag to store and carry laptops. $25 will buy five gallons of fuel to run a small generator for hours of charging time. Educational DVD’s will help, like math and typing tutorials and programs like National Geographic and PBS. Used DVD’s you’ve outgrown are fine. Let us know on Contact Us for that. Top of the list though is a long term plan to provide power for this new computer lab to charge computers and light classrooms at night. Part of the initial dream is still on the table – to fund a solar power system for the computer lab and to run adult education classes at night. We haven’t given up on that part of the dream. It’s still growing.